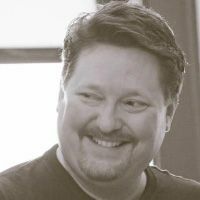 Several new products are coming from the gang at Gentle Giant ltd. mid-year next year from across the spectrum of their licenses. There are some great statues from Star Wars, Marvel and The Walking Dead, as well as a fun new Captain America statue based on the art work of Skottie Young. 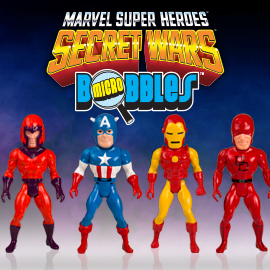 There are NO Jumbos solicited this month… instead we go SMALL for the second wave of Secret Wars Micro figures that will be at select retailers as well as available through Gentle Giant, AND the first wave of the highly anticipated Micro Super Powers figures! In 1984, Kenner began to release the next of their extremely popular action figure lines, the DC Super Powers Collection! 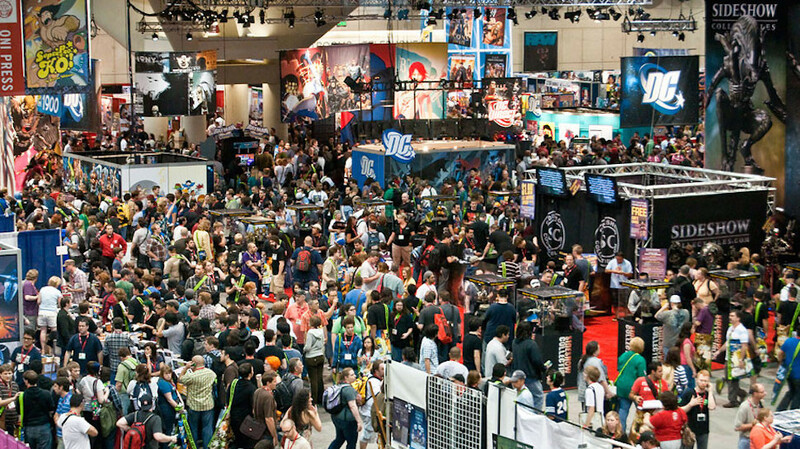 This line included heroes such as Batman, Superman, Wonder Woman and many, many more. 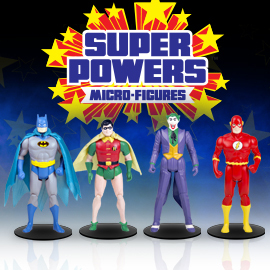 Gentle Giant Ltd. is proud to announce the DC Super Powers Micro Figures as the newest offering in this stunning line of retro figures. 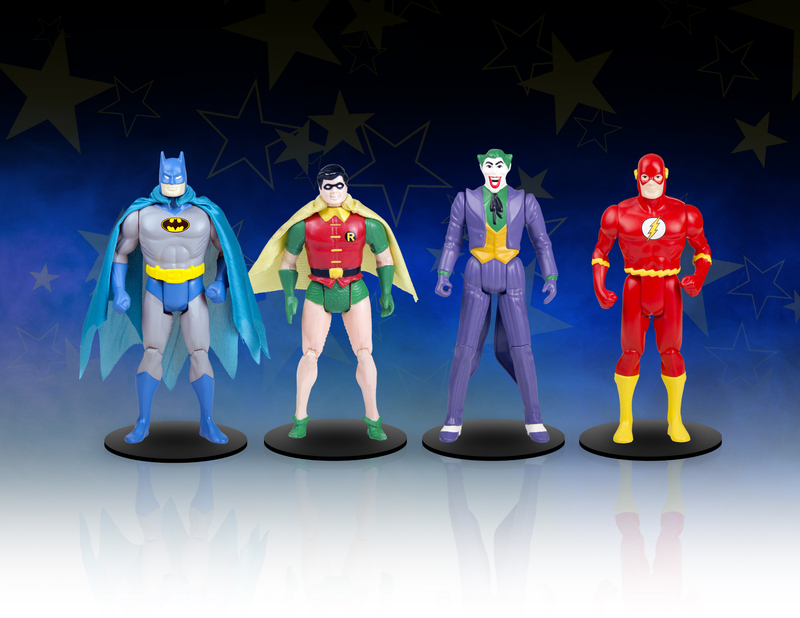 Series 1 includes Batman, Robin, The Joker and The Flash. These Micro Figures were created using state of the art 3D technology. 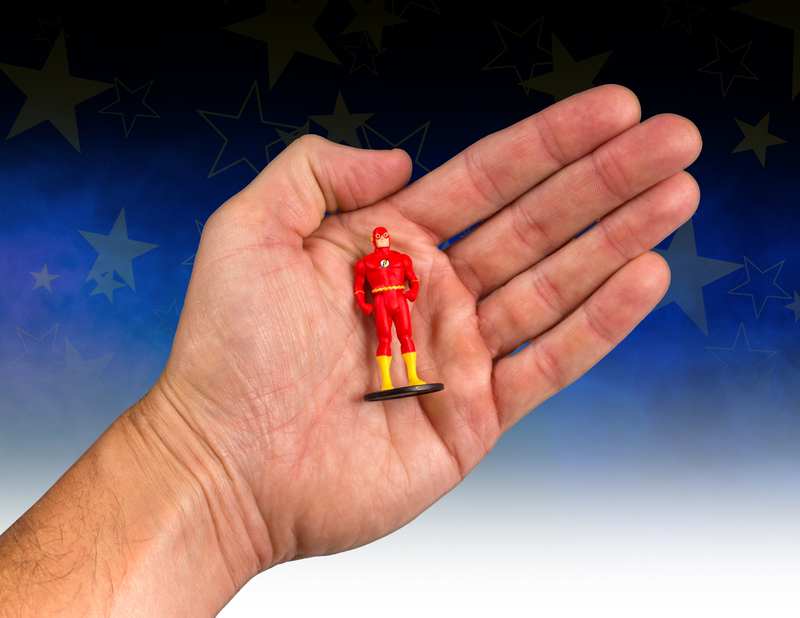 Gentle Giant Ltd. has taken the original DC Super Powers action figures and created a highly accurate micro digital model with the use of 3D scanners. 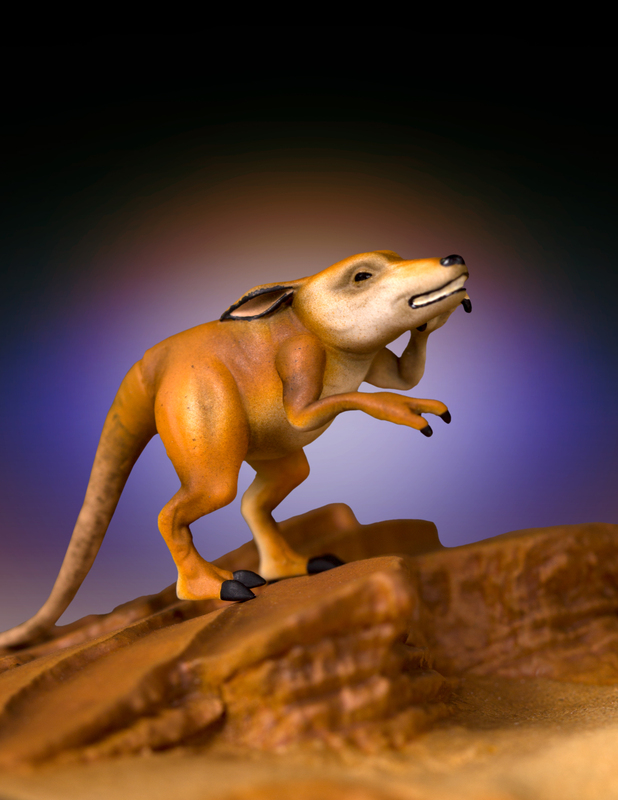 This digital model was then scaled down to 2 inches tall and printed using top of the line 3D Systems printers. 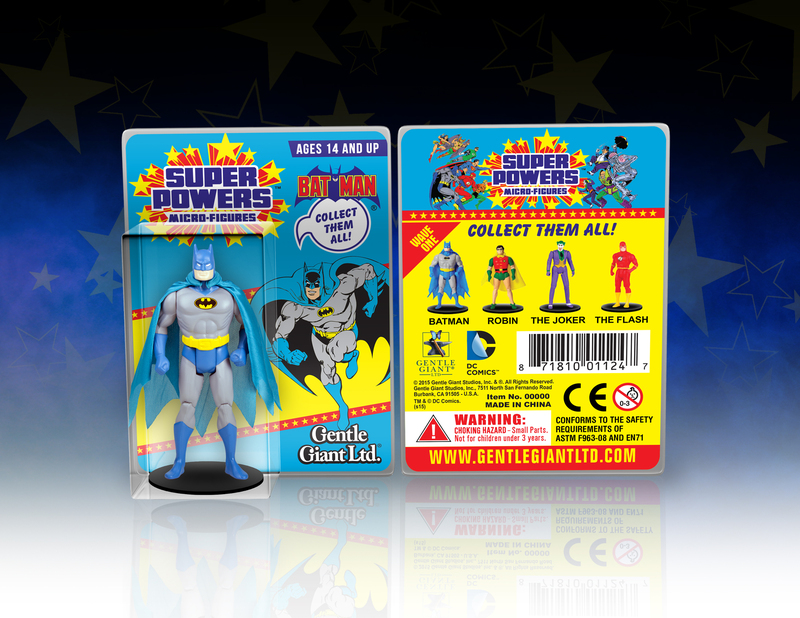 The DC Super Powers Collection Micro Figures – Series 1 from Gentle Giant Ltd. will be made from high quality PVC plastic. Many of the figures will also include fabric capes and accessories. 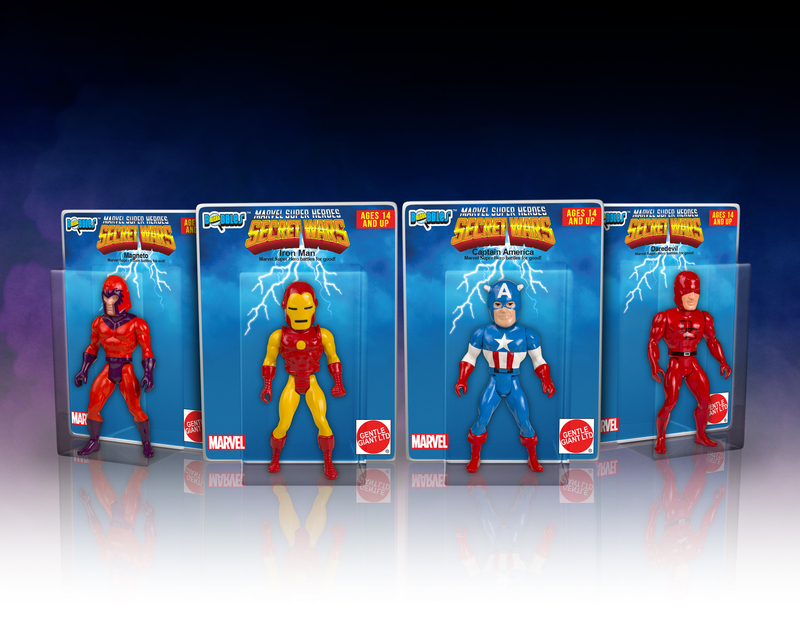 Finally, these incredible figures will feature retro art packaging, and come in a protective re-sealable blister pack. Secret Wars was a 12 part series from Marvel Comics that introduced the character of The Beyonder to the Marvel Universe. The Beyonder assembles a planet from chunks of other planets and dubs it “Battleworld”. He then kidnaps several heroes and villains from Earth and transplants them on Battleworld to fight for The Beyonder’s amusement! 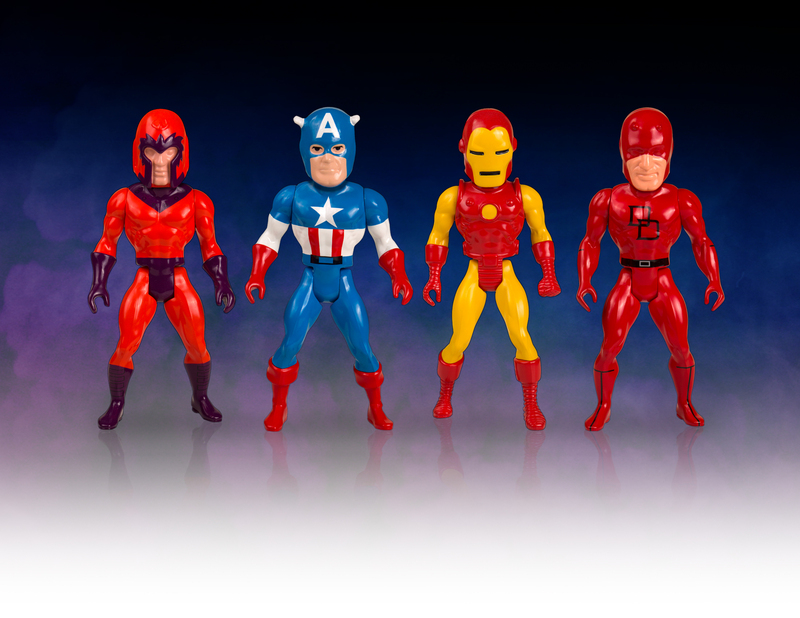 Digitally scanned from the original 1980’s Marvel Secret Wars action figures and reproduced down to a 2.5″ bobble head format, no detail has been overlooked! These Micro Bobbles feature PVC construction, accurate paint applications, and a metal spring for bobble head feature. 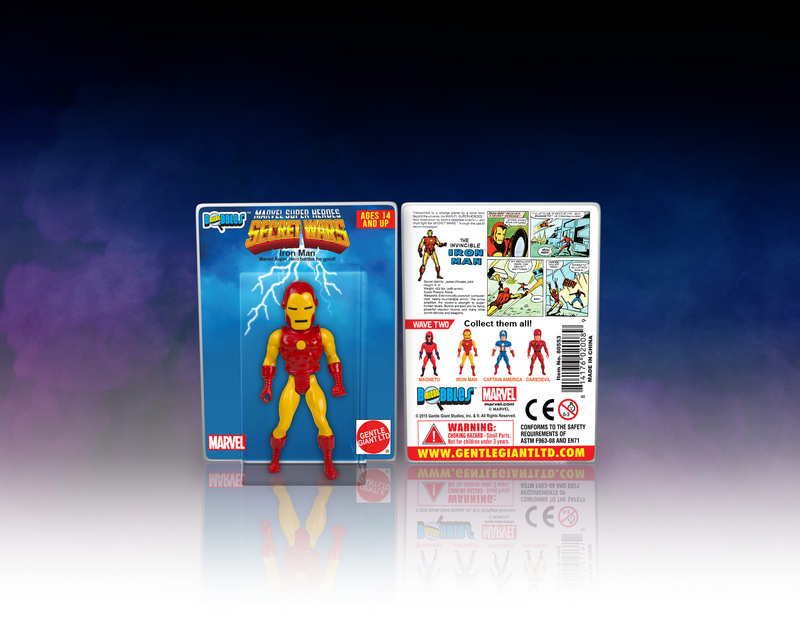 To further capture the vintage feel, Gentle Giant has packaged these Micro Bobbles with a Marvel Secret Wars-inspired backer card featuring original photos and artwork. Designed with the collector in mind, the Micro Bobbles are packaged in a re-sealable plastic outer clamshell to help protect and display these limited edition collectibles. 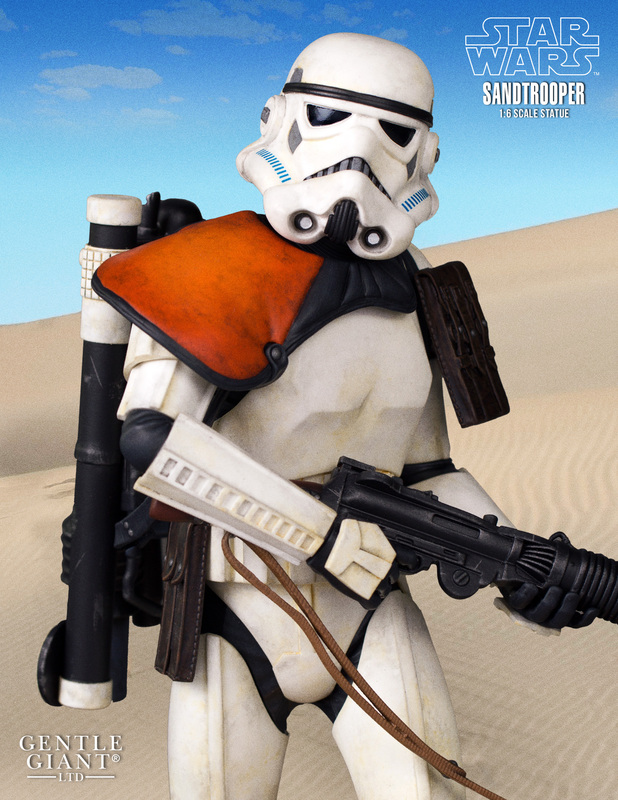 Imperial Stormtroopers that were deployed to distant desert worlds, often called Sandtroopers, were specially equipped to survive in hostile environments without close support from other Imperial units. 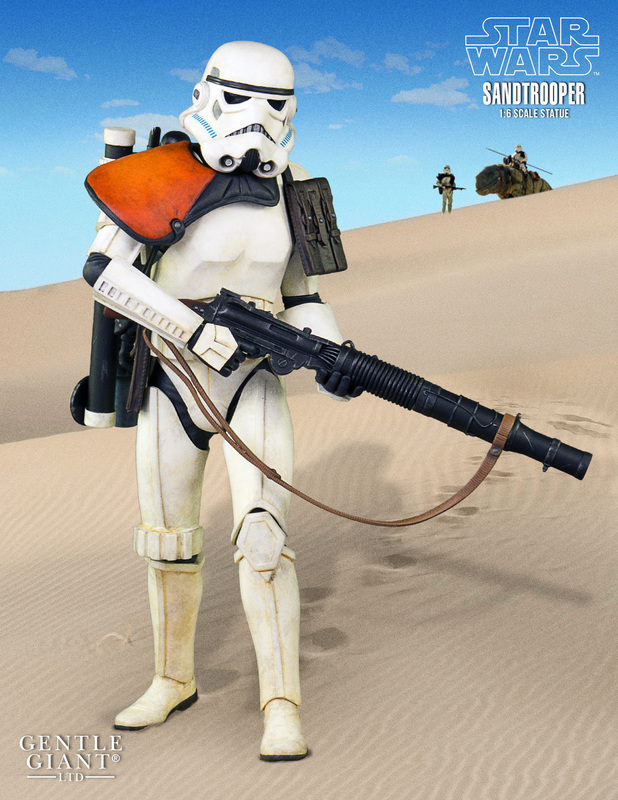 Sandtrooper foot patrols were regularly seen in trading outposts and on the outskirts of small towns, insuring order and loyalty to the Empire on these forgotten outer rim worlds. It was a Sandtrooper garrison stationed on Tatooine that discovered the fugitive droids R2-D2 and C- 3PO just as they blasted off the planet surface in the Millennium Falcon. Their escape with the Death Star plans would ultimately lead to the destruction of the Empire’s super weapon at the hands of the Rebellion. 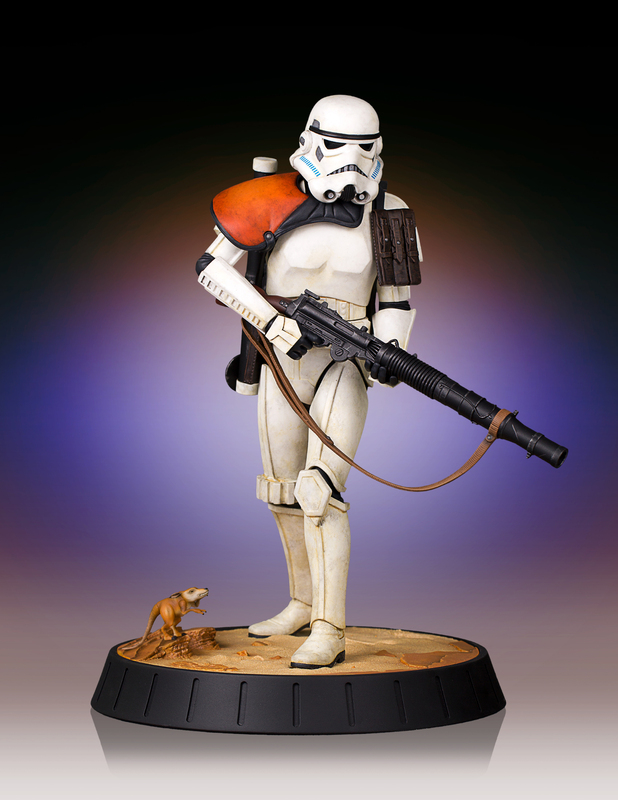 Sculpted by Gentle Giant’s master artisans, the Sandtrooper statue stands 12” tall in 1/6 scale and is depicted on patrol in the harsh landscape of Tatooine. Each limited edition hand painted piece is cast in high quality polyresin with crisp injection plastic details. This statue also comes individually numbered with a matching certificate of authenticity. Premier Guild Members will have access to an EXCLUSIVE bonus accessory for this piece – A Tatooine desert scurrier! Natasha Romanoff, AKA Natalia Alianova Romanova, AKA The Black Widow. 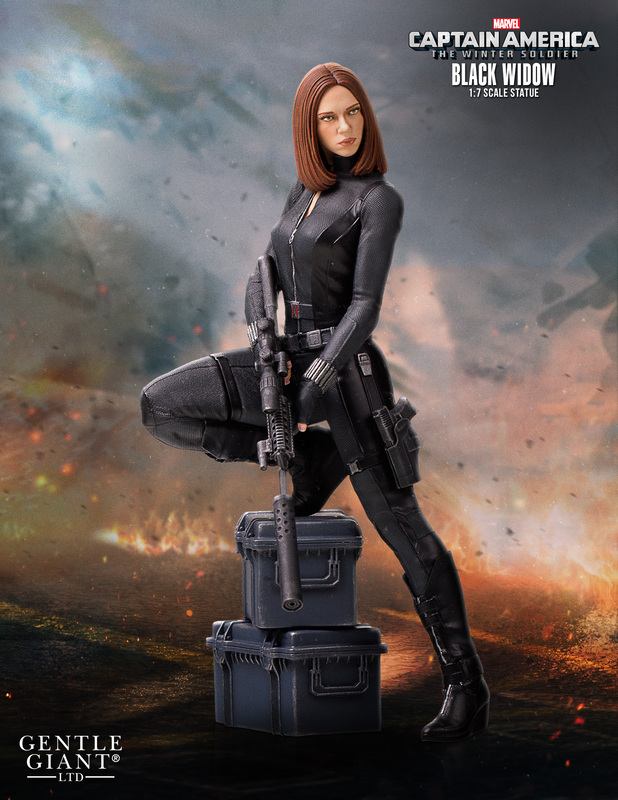 Romanoff’s history as a double agent is well known in the Marvel Cinematic Universe. What’s better known, is her heroism as an agent of SHIELD, friend and partner to Captain America, and her membership as an Avenger. Using digital sculpting and scan data, Gentle Giant Ltd has recreated Black Widow in this amazing 9 inch statue. The original pieces to be used for manufacturing where then printed on top of the line 3D Systems 3D Printers. These high resolution printed pieces made it possible to capture the intricate details of the character’s likeness, costume and accessories. The first in a new line of Gentle Giant’s Collectors Gallery statues, the Black Widow is an incredible representation of the character as she appeared in Captain America: The Winter Soldier! The Star Spangled Avenger makes many of his fans feel like kids again. This time, Gentle Giant Ltd. is having some fun and giving Captain America a childlike appearance! This red, white and blue chunk of cute was digitally sculpted, and then printed out on state of the art 3D Systems printers. The prints were then used to create the prototypes needed to produce this fun filled statue of a triumphant, and very happy, Captain America. 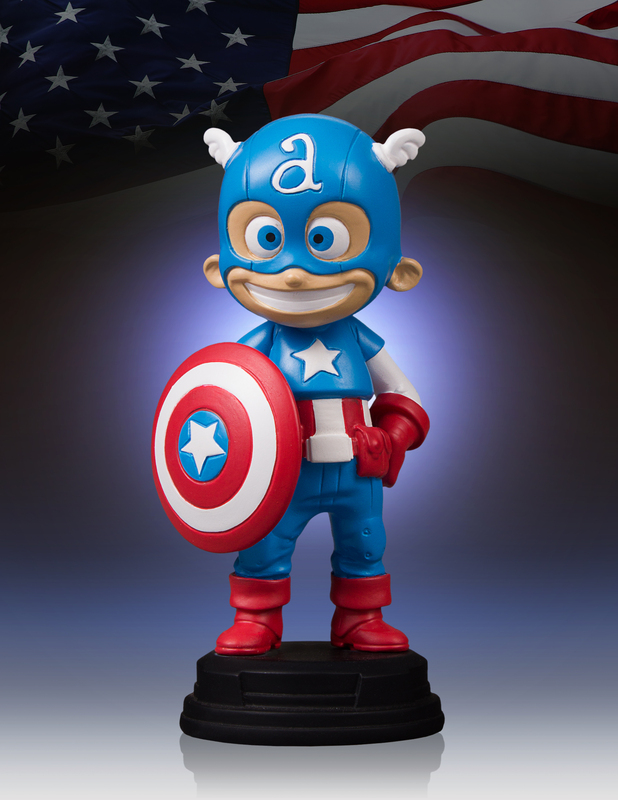 This Captain America statue represents the first in a new line of Marvel Comics Characters inspired by the artwork of Skottie Young. Sheriff Rick Grimes has suffered loss, betrayal and seen the worst of humanity from both the living and the dead. Determined to insure the survival of his people, his family, he will take matters into his own hands. 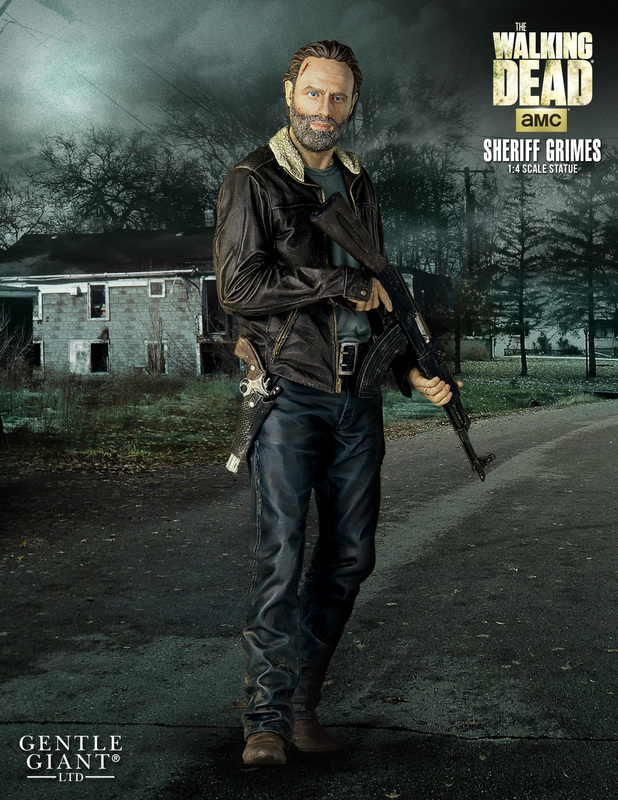 Gentle Giant Ltd. is proud to continue our Walking Dead line with the Sheriff Rick Grimes statue! Digitally sculpted by our master artisans, this 18” tall, ¼ scale statue is hand-painted and comes individually numbered with a matching certificate of authenticity. After seeing those micro Super Powers figures from Gentle Giant, it occurred to me that “Mild Midget” would be a fitting subsidiary company name.